The Chapel and Columbarium is the centerpiece of Ridge Lawn Cemetery. Built with carefully selected fieldstone, the walls rise toward the slat roof over this simple sturdy building. The historic Chapel was renovated in 1997 and reconfigured as a columbarium. The vaulted ceilings and imported marble create an open air yet comforting atmosphere. 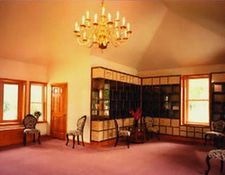 It is a warm, peaceful place for both small informal services and a quiet seating area where loved ones can relax and reminisce while visiting. Single and double niche spaces are offered behind glass and marble fronts. Inscriptions are finished in bronze. The glass fronts allow visibility of individual memorial urns. 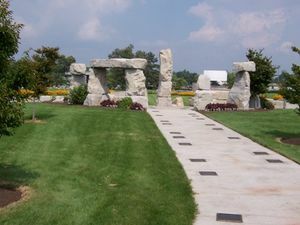 Newly developed and available for purchase is a very unique memorial section at Mount Calvary's Ridge Lawn Cemetery. 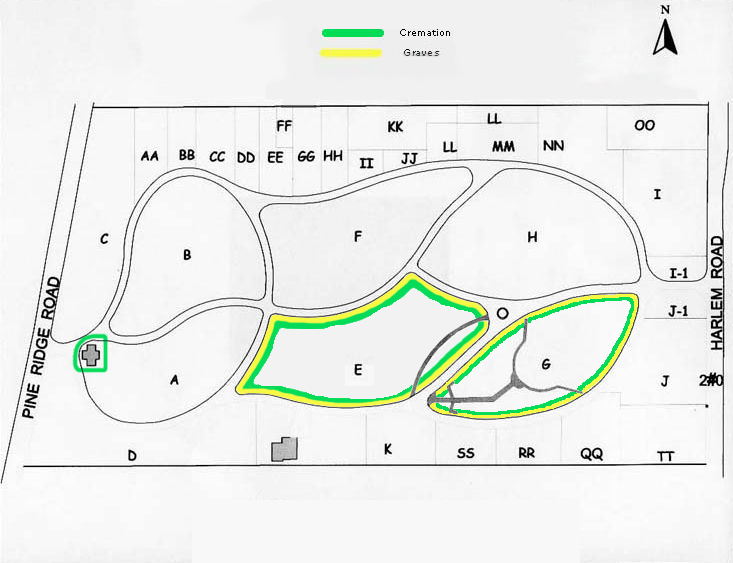 Section G offers three options for full traditional in-ground burial (flat marker privilege, up-right monument privilege and double-depth burial lots), as well as in-ground burial lots and sidewalk niches for cremated remains.